What are your plans for Thanksgiving? Here at The National Center for Outdoor & Adventure Education, we’re expanding our outdoor educator-training program on a global scale and announcing a month-long training expedition that culminates in a Thanksgiving celebration in Patagonia — a remote region at the southernmost end of South America that is shared by Argentina and Chile. That’s a large leap from our outdoor educator training programs in North Carolina on the Eastern seaboard and Oregon and California out West. But we’re excited to be spreading our wings, and we’re even going a step further by planning a second overseas training expedition next spring — this time to Kenya for a 33-Day Outdoor Educator Instructor Training – East Africa. But first, back to our Patagonia training. The 31-Day Outdoor Educator Instructor Training – Patagonia is co-ed and targets college students, classroom teachers and novice outdoor educators who are 18 years and older. Tuition is just $6,600. We fly from Houston, Tex., and land in Santiago, Chile, where our local team has already worked out an invigorating itinerary. Chile is a land of extremes, from the snow-capped volcanoes of Patagonia and dizzying heights of the Andes, to the driest desert on earth and the extensive southern glacial fields. We’ll be exploring some of the most beautiful mountains and rivers in the world, and we’ll see it with fellow explorers who have the same enthusiasm and zeal for the outdoors and education that you do. 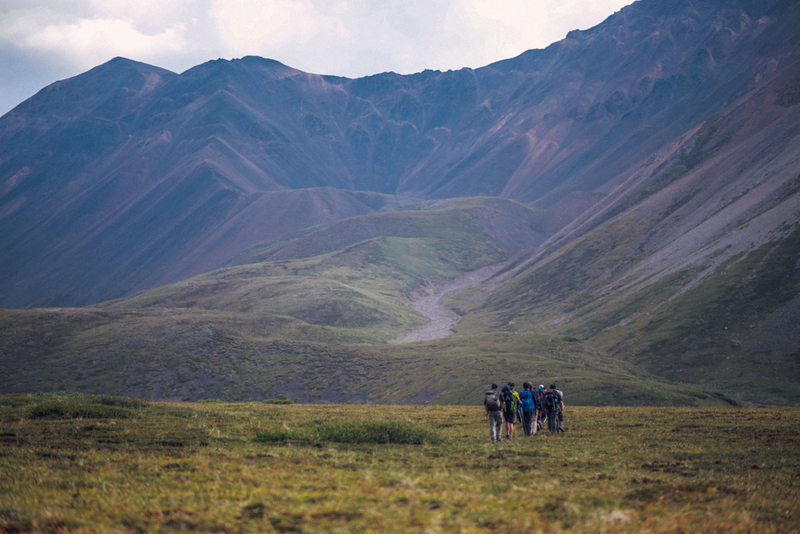 Two National Center for Outdoor & Adventure Education (NCOAE) instructors recently guided an international group of high school students on a 16-day custom outdoor education program in the Alaskan wilderness. The teens, all of whom were enrolled in a youth leadership program in South Korea, got their first introduction to Alaska’s glaciers, jagged mountain ranges, coastal islands and mudflats as their flights neared the airport for Day One of their adventure. Stepping off the plane, the teens immediately grabbed their backpacks and headed out toward uninhabited remote wilderness. NCOAE course director and lead field instructor Matt Seats said the students had mentally prepared themselves for 10 days of backpacking, route finding and living in the wild. Following a week of wilderness medicine training and some basic training in how to live and travel safely in the wilderness, the group was ready to start their adventure. Though each of them had their own set of apprehensions, the students arrived at one of their first destinations by foot hours sooner than expected, which prompted these novice explorers to literally dance, jumping and shouting at the top of their lungs in joy about their accomplishment. That evening they enjoyed the hypnotic effects of a sweetly scented campfire, fueled by the steady Alaskan wind in a dry riverbed. For some of these teens, it was the first campfire they had ever built. If you believe being in the backcountry allows for a freedom that can’t be found anywhere else, or that backpacking and river rafting by their very nature sets a subtle but intentional pace that’s good for your soul, then our September 7-13, 2015, Women’s Wilderness Initiative course in North Carolina is tailor-made for you and what you stand for. The National Center for Outdoor & Adventure Education’s Women’s Wilderness Initiative is a one-of-a-kind backcountry experience enabling women of nearly all ages to ditch a spouse, kids, job and/or college coursework for seven days focused just on themselves. That’s because your role on a Women’s Wilderness Initiative course is to unwind from your day-to-day tasks, focus on setting personal objectives, develop new technical and leadership skills, and have fun in the Great Outdoors with a group of like-minded women. By the time you show up for our North Carolina Women’s Wilderness Initiative course, we’ve handled all of your logistics. You food is purchased, meals are prepped, the van is gassed, and the route is already vetted and selected. Feel a little intimidated by the thought of hiking in unfamiliar territory or navigating rapids along the French Broad River? Not to worry. Our North Carolina Women’s Wilderness Initiative is perfect for women who are not regular rafters and backpackers. The trails we navigate are mostly flat and the river is easy to navigate.